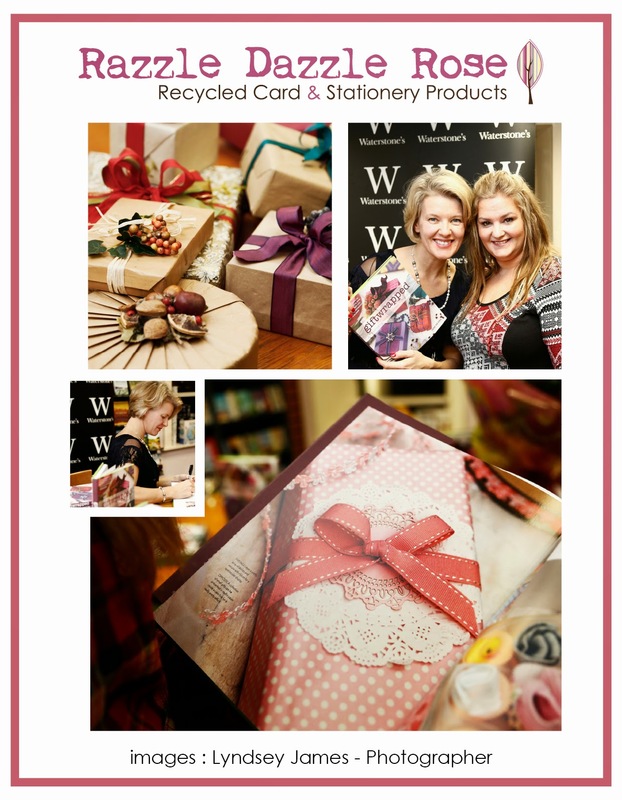 Last week I attended the book launch at Waterstones in Lincoln for the launch of 'Giftwrapped' Jane Means' new and totally gorgeous gift wrapping book. We were delighted when Jane asked us to provide our paper doilies to be featured in the book, and even more delighted when we saw how many fantastic gift wrapped items included our paper doilies! Here's a selection of photos taken on the night, and a great photo of me and Jane! Signed copies are extremely limited! buy yours now while stocks last - you won't regret it!